Ever notice how no one uses the word “Cyberspace” anymore? When was the last time you said, “I saw this really cool video in cyberspace” or “My cyber connection is really slow today”? The word Cyber is derived from the word cybernetic, and was appropriated to describe just about anything to do with computers and the internet. Hence the coining of the term “cyberspace” in the late 1980’s and early 1990’s. The original word, cybernetic, is actually derived from the Greek word “kybernetes”, which also means “steersman”. In its simplest form, it more accurately describes the pilot of a plane — the interface between human and machine control systems. Nowadays, when referring to using the internet most people just say, “online”. Long gone are the days of snail speed dial-up and the extravagant price-tag of trying to access the world-wide-web. 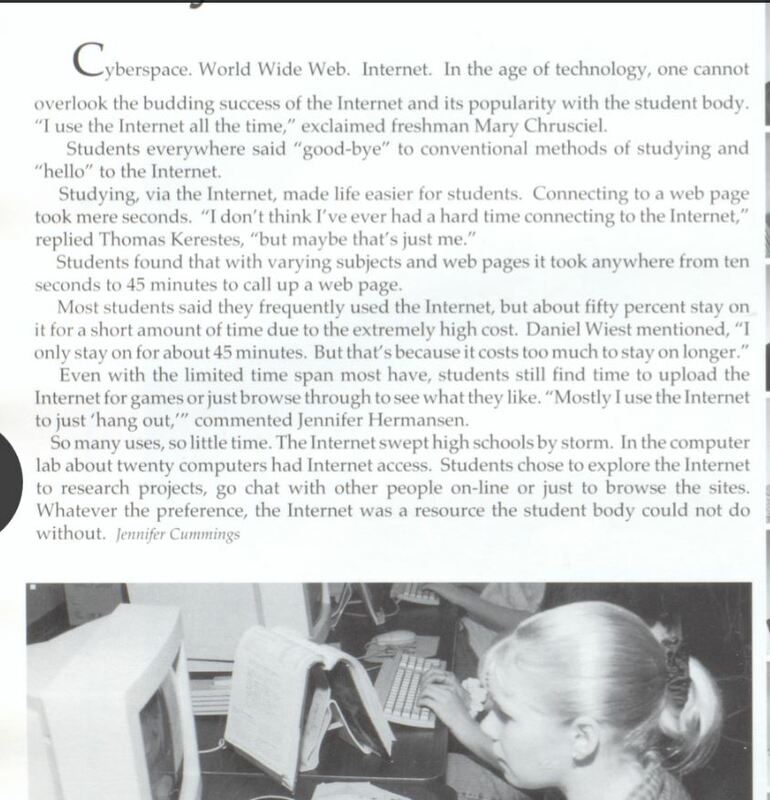 The image below was taken from a 1998 high school yearbook; It’s pretty amazing to think how far we have come in the last 20 years.